Steve Wynn, founder and CEO of Wynn Resorts, resigned as Republican National Committee finance chairman, thanks to sexual misconduct allegations recently reported in The Wall Street Journal, but he's also been hit where it might just hurt most of all: His net worth. Wynn has lost more than $425 million thanks to the plunging value of Wynn Resorts stock. It breaks down like this: Wynn has 12.1 million shares of his company's stock, owned by way of a family trust under his control. After the report on Friday, the stock saw a 10 percent drop, which came to a drop of roughly $246 million in Wynn's financial holdings. Then, on Monday, another $204 million melted away, followed by a relatively paltry $23.5 million uptick on Tuesday. 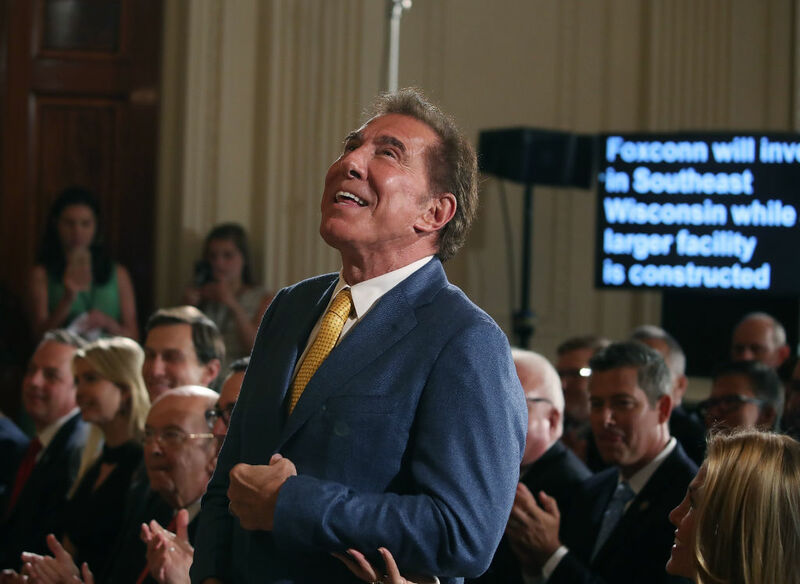 "If he is terminated by Wynn Resorts 'without cause' he would be owed 'three times the salary and bonus that would be payable during the remaining term of the contract,' according to company filings. That should come to about $247 million." As of now, Wynn Resorts is carrying out its own investigation into the allegations, according to a statement, and that the board is "committed to operating with the highest ethical standards and maintaining a safe and respectful culture."